Depending on whom you ask, and when you ask, Serie A's purchasing power is either irretrievably curtailed, or on the verge of steadily increasing. If you ask Milan vice-president Adriano Galliani in the aftermath of another TV rights meeting, you could be forgiven for thinking that Italian football is on the brink of financial ruin brought about by a chronic unwillingness of clubs to pull in the same direction. Yet, if you ask the Juventus management, still beaming from a huge cash injection from Exor and their new, privately owned stadium, the Bianconeri are pointing the way forward for Italian football (incidentally, despite the widespread enthusiasm, the money from Exor comes with strings attached, as this article in La Gazzetta dello Sport explains). We should look at both positions with skepticism. Galliani's incessant claim that impending or existing legislation domestically (a more equitable TV rights distribution mechanism, high tax rates) and abroad (Financial Fair Play rules) will relegate Italian football to an emasculated middle class of European football is not simply alarmist. However, his complaint should always be contextualized in the years and years of crippling financial mismanagement of Serie A--mismanagement that the likes of Milan, Juventus, and Inter were complicit in. During the 2000s, Juventus, Milan and Inter were the most egregious examples of clubs who refused to operate on a level playing field. Since no Italian club owned its own stadium, TV rights became the main polarizing force. The bigger clubs of Serie A each negotiated obscenely lucrative viewing rights for their games, while those in the lower reaches of the table were left to drudge on. When the minnows did complain, perennially and vehemently, they were treated as upstarts who had to be placated for the more important show to go on. And so, we would face delays to the start of the season, until the bigger clubs of Serie A would deign to let some of the money trickle down to those beneath them in Serie A and Serie B. 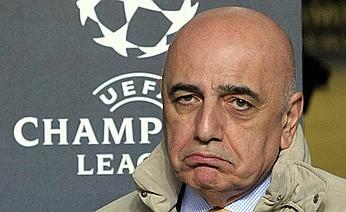 Of course, Galliani used to lament the state of Italian football then too, but not as stridently as now. After all, Milan were one of the biggest beneficiaries of an innately exclusive system. And when Galliani's conscience would slightly prod and prick, he would sanctimoniously say that clubs need to lower their costs. Francesco Totti is hardly the shining example of eloquence, but he was able to brilliantly characterize Galliani's infuriating diplomacy by once tartly remarking, "Galliani complains about costs, [and] then goes and signs Rivaldo." In the near future, I plan on providing a comprehensive account of how TV rights have developed and influenced Italian football; here, I am more concerned with how the transfer market in Italy continues to confuse. On the one hand, you have a person like Galliani, who always reminds us of the imminent decline of Italian football, during and after which Italian clubs will ruefully recall days when they used to rub shoulders with the European elite on and off the pitch. 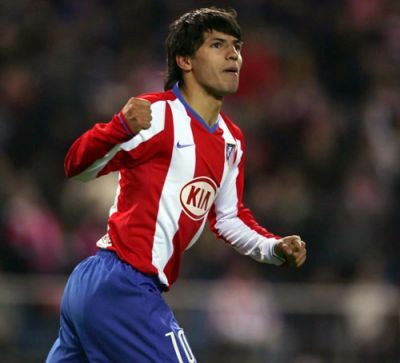 On the other, you have a club like Juventus, who have built a stadium and are after Atletico Madrid's Sergio Aguero, one of the hottest properties on the transfer market, whose worth is in excess of 30 million euros. All signs suggest that they may get their man. What is the true state of Italian football, then? That Milan, Juventus and Inter are finding it harder and harder to compete with the top clubs of Spain and England is becoming excruciatingly clear. However, there is a dissonance between that sobering reality and the demands of the fans. While some profoundly fear what the Financial Fair Play rules will do to Italian football (with no benefactors able to pump cash in the gap between Italian clubs and others will grow), others still believe that the rules are nothing but bluster from UEFA, who are in thrall of the European elite clubs, and would never seriously disbar any club with clout from European competition. The latter contingent expect big arrivals this summer. UEFA's commitment is hard to gauge currently, and there may be some truth to what the skeptics are saying. However, more important is for Serie A to consider how to get back to some form of level terms with the bigger clubs of Europe. The political intransigence (city councils will just not let go of stadia) in the country means that private ownership of stadia is not a forthcoming reality. Moreover, while Juventus may be boasting about their stadium (and it is revolutionary and commendable, as I recently wrote), it remains to be seen how much matchday revenue they will actually generate from an audience that has been shying away from stadia due to racism and violence. And even if fans do flock to the new stadium, there is no guarantee that gate receipts will fetch the exorbitant amounts that clubs in the Premiership enjoy. It is all an inscrutable and frustrating mess. Recently, I wrote an article about Milan's need to buy a big name this summer, but I attempted to adjust my enthusiasm to the crushing realities of European football. It isn't fun, but fans may also have to modulate their expectations of what the big clubs in Serie A can do. Unfortunately, it becomes very difficult when the press mentions names like Aguero, Carlos Tevez, and Fabregas routinely. Not for the first time, and not for the last, Serie A appears to be enduring, or perhaps performing another schizophrenic summer. The transfer market in Italy has always been gripping theater, and this latest confusion only enhances the intrigue. Recall that last summer, after publicly decrying their poverty, Milan raised the profile of the league by bringing in Zlatan Ibrahimovic and Robinho. Pulling off something similar this summer may be more difficult. Or not. You can never tell with Italian football.